Family friendly? YES. Here’s Captain Steph giving me a break from holding 16kg Nixie as he was dozing off on the sub, she’s so lovely! 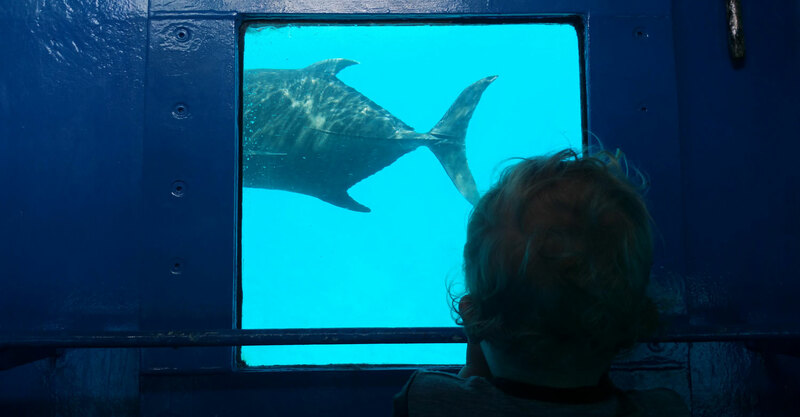 When I was planning our trip to Rarotonga I couldn’t believe my eyes when I stumbled across this little gem of an adventure on the interwebs! When trying to find suitable excursions the whole family could enjoy, there was always the Nixon factor to consider. A very hyper busy two year old and boats don’t often bode well, but the idea of a partial sub, well, what could possibly go wrong lol. 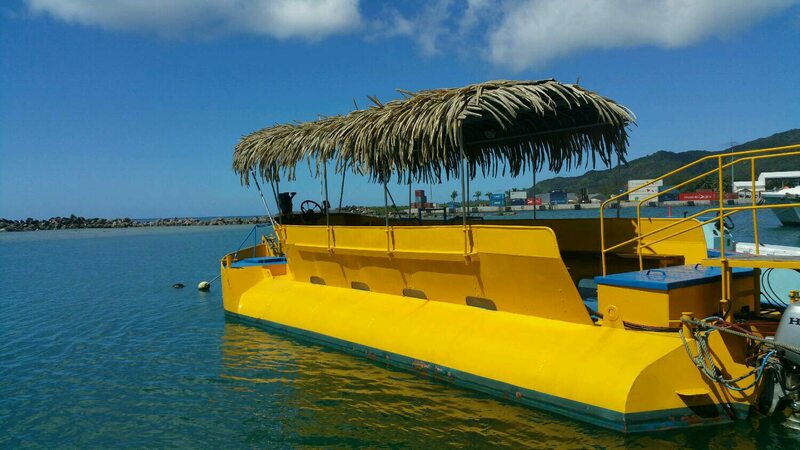 The Raro Reef Sub is moored in Avatiu Harbour on the north-east side of Rarotonga – very easy to find and access via the buses. It’s also totally easy to spot in the marina as it’s a YELLOW SUBMARINE! We met Captain Steph, the owner/operator (read her very cool story of how she came to be in Rarotonga here) and her tour guide Luke on the wharf and after a quick orientation we headed off. Seriously, within two minutes of motoring, the Giant Trevally were alongside the boat and putting on quite a show! 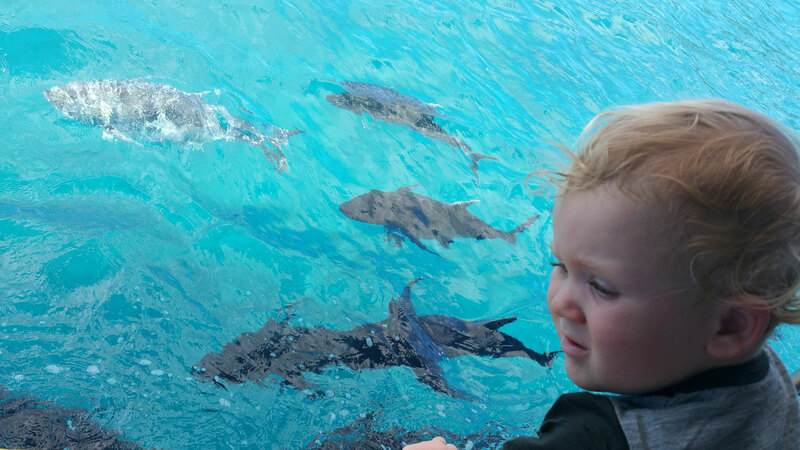 These fish are insanely huge and so fast, both of the boys were spellbound. The view on deck and from the sub is equally as good in totally different ways. Seeing massive fish like this in their natural environment – from an underwater vantage point is something we’ll never forget. But up on deck Luke had a bucket of scraps that were whipping those big fish into quite a frenzy, we totally didn’t know where to look first! 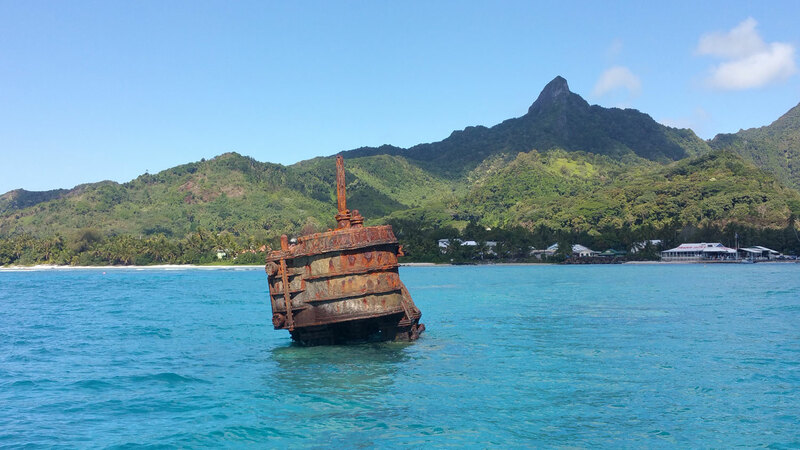 We headed for the site of the 99 year old shipwreck – RMS Maitai. None of our party scuba dive so getting up close and personal with a piece of Rarotongan maritime history like this was pretty awe inspiring. The views below deck were like something from a David Attenborough doco, something I’d never ever expected to see in my lifetime, plus the commentary from both Steph and Luke was amazing. These two really know their stuff, local knowledge is definitely not lacking on this tour. I really believe the best way to gain some perspective of the island is from the water. You spend so much time looking out at the lagoon when you’re in Raro that it’s easy to forget there is a stunning tropical landscape waiting right behind your back! In the picture below you can see the engine block from RMS Maitai as well as the surprising elevation of the island beyond. 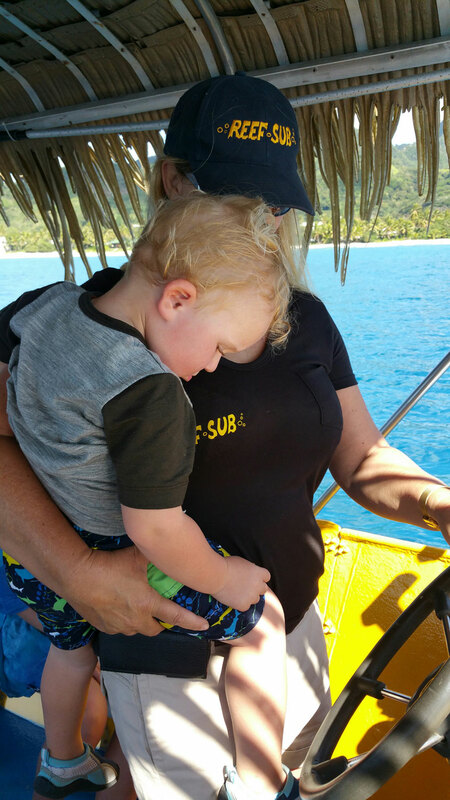 So, Raro Reef Sub is pretty much a near perfect experience for those with young families like us or for those who want a leisurely, relaxed cruise on the water. I wouldn’t worry too much about sea sickness as she’s a pretty stable boat (trust me, I get horrendously sick and I was fine! ), plus you’re really close to shore the whole time so you’re not getting buffeted around in the open water. At 1 hour 15 minutes, we found this tour the perfect amount of time for the kids to maintain their attention span. Nixon was mental, up and down the ladder constantly but that was no big deal – Luke was always there to lend a hand! Safety-wise for the kids, no worries, though Steph’s totally got an eagle eye on her passengers the entire time which I really appreciated. 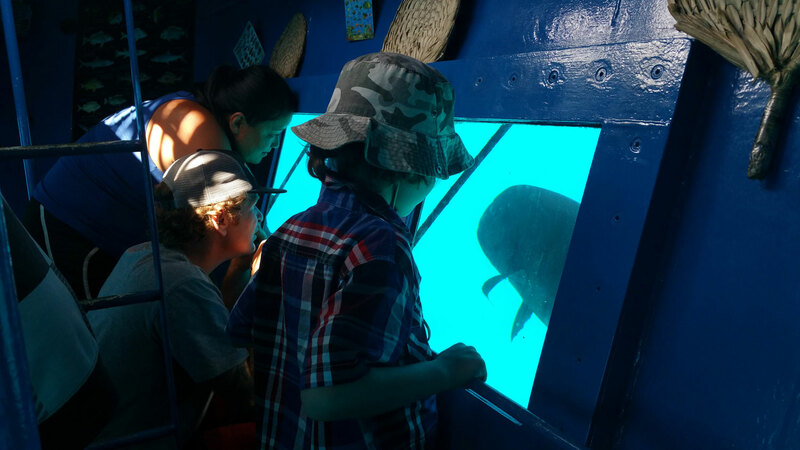 Raro Reef Sub is a lovely relaxed outing in a smaller group than some other operations which makes the whole experience more personal, peaceful and informative. Loved it, a very special way to see Rarotonga that shouldn’t be missed!